The Meyers Nave Construction and Facilities (CFG) practice group opened in July 2013 with a single focus on the construction industry and a commitment to excellence in the practice of construction law. CFG lawyers specialize in construction law and understand the construction industry – the issues, the technologies, the language. CFG lawyers understand the challenges faced by owners, designers, contractors, subcontractors, construction managers, and specialty consultants. CFG tries construction cases. Since opening, CFG has tried four complex construction disputes to final judgment or award – more than 60 “in court” days of witness examination, more than 100 depositions, managing more than one million separate documents. Prior to opening CFG at Meyers Nave, the trials of CFG lawyers included power plants, wastewater treatment plants, water conveyances including tunnels and associated power facilities, libraries, and detention facilities, adding another 100 “in court” days in trials of complex construction cases. With construction trial experience comes efficiency in case preparation and depth of judgment in making assessments of case value, cost and utility of discovery, managing experts, assessing strategies and settlement points. CFG works in close coordination with in house counsel, providing high quality legal services with attention to cost controls, cost-effectiveness and results. CFG understands and maintains its focus on every case as a continuing value proposition, with attention to cost benefit per legal dollar, proactively managing and controlling the disputes process, from claims preparation, negotiations, document retrieval systems and discovery, disclosure and managing experts, and conducting trials. CFG represented a hospital owner in disputes following a default termination of a design build contractor on a $290 Million, multi-phase, hospital construction project. The case required more than 50 depositions and twenty full days of hearing testimony from more than 40 witnesses. The final award denied $130 Million in contractor claims for lost profits and extra work. In bifurcated hearings, CFG’s client received a defense award after six days of testimony in Phase 1 of the hearings. After several days of the Phase 2 hearings, the matter settled. CFG represented a public owner of a reservoir in defense of claims for delay, differing site conditions, extended overhead and lost productivity damages. The case involved more than 30 depositions and 32 days of hearing testimony from more than 20 witnesses. Although the initial award granted the contractor approximately 25% of the amounts claimed, the superior court declined to confirm. The matter is remanded for further findings on the project owner’s objections regarding pre-litigation claim requirements and the California Contractor’s License Law. Since opening, CFG has settled construction claims throughout the litigation and arbitration process, often following dispositive motions, including a summary judgment on an eight-figure contractor claim on a state highway; and a dismissal in the face of a summary judgment on a seven-figure contractor claim on a college facility. CFG has defended eight figure claims through discovery that then settled at the amount of the pre-litigation settlement offer; recovered seven figure settlements in mediation; and counseled clients through default terminations, litigation and settlements of claims exceeding $100 Million. CFG represented a public owner in litigation after reversal and remand by the court of appeal of two prior trial court judgments in favor of CFG’s client. The matter was then settled. 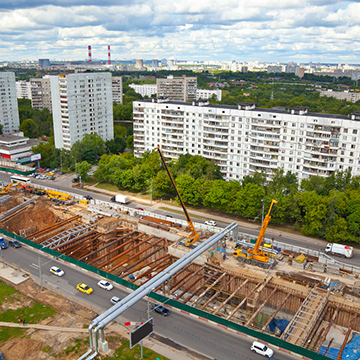 After the default termination of a design build contractor on a multi-phase $360 Million hospital construction project, the assertion of more than $100 Million in contractor claims, and commencement of litigation by the project owner, the matter was settled by the parties avoiding years of construction delay and litigation. The project is now completed. CFG represented a construction management firm in the successful defense of claims by a contractor on a college facility, securing a dismissal with prejudice after filing a summary judgment based on the contractor’s deposition testimony. When the contractor then filed new, assigned claims against the construction management firm, the matter settled for less than 10% of the remaining co- defendant’s settlement amount. After construction delays and more than $10 Million of change orders, the contractor on a construction contract to rebuild a state highway filed suit seeking more than $14 Million in disputed changes, delays and measured mile lost productivity claims. After three years of litigation and shortly before expert disclosures, CFG secured a summary judgment on the contractor’s affirmative claims for failure to comply with contractual administrative dispute procedures. The matter thereafter settled in judicial settlement conference under CCP §664 with the project owner retaining the contract retention and the contractor receiving zero on its affirmative claims. CFG attorneys devote a substantial amount of time to project oversight and pre-litigation counseling on troubled projects, procurement and bidding disputes. CFG’s focus is consistent: understand the client’s objectives; recommend pragmatic solutions; move the project forward. Whether the objective is project completion, revenue generation, or cost management, the focus is the same – forward progress. Every construction project is different and every construction dispute involves unique facts, technology, processes and contracts. CFG will review the drawings, walk the project, meet the staff in the trailers, study the job photos. CFG evaluates claims of all types on projects as varied as process facilities, hospitals, heavy civil projects, or government office buildings; with claims pertaining to design or construction defects, changed or unforeseen conditions, delays, disruptions, loss of productivity, acceleration, payment disputes and insurance coverage. CFG provides realistic assessments of entitlement, damages, litigation costs, litigation risks and uncertainties, and measures these costs against the value of prompt dispute resolution. Whether CFG is counseling on settlement, reserving rights or preserving defenses, the immediate focus remains on completing the project and (where it applies) maintaining the revenue stream. In project counseling, CFG considers the litigation option as the option of last resort. Just as cost and schedule drive construction projects, cost and timely resolution should drive construction disputes. Whether by face to face negotiations, facilitated negotiations, mediations, mini-trials, referees or arbitrations, CFG will evaluate each case and recommend solutions to cost effective dispute resolution. CFG has worked with public entities, including some of the largest in Northern California, to plan, structure, and draft baseline construction contract documents for design-bid-build, design-build and construction management at risk; equipment procurement; design and consulting contracts. CFG attorneys devote a substantial amount of time to contract negotiation and drafting, project oversight and pre-litigation counseling. CFG understands the use of construction contracts on construction projects and how construction contracts work in dispute resolution. Simple language, express risk allocations and straightforward concepts work. There is no “one size fits all” when it comes to contracts, and while CFG has forms of contracts it recommends, it has in depth experience with the various standard industry and government forms-including the contracts of the American Institute of Architects (AIA), Consensus DOCS, the Engineers Joint Contracts Documents Committee (EJCDC) and the Construction Management Association of America (CMAA). Whether planning projects, counseling on claims resolution, or actively litigating a construction claim, we work towards the client’s business objectives. CFG lawyers do not work in silos; we work collaboratively with a shared commitment to high quality work and meeting the client’s expectations. We share our clients’ sense of urgency to find the best solutions to construction problems. We provide legal solutions that make business sense.